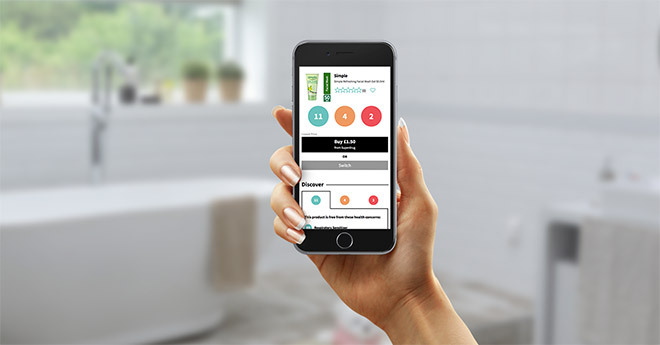 SkinNinja app is one of the latest UK’s apps to help you discover what type of ingredients lurk in your skincare products and cosmetics. 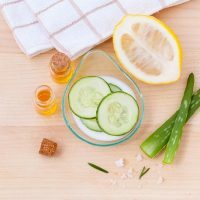 If you are interested in knowing whether there are any toxic ingredients in your beauty products, you should definitely check it out. It’s particularly useful for those who are worried about Contact Allergens and Carcinogens. The app has been created by Jo Osborne, following her battle with skin cancer and you can download it for free here (App Store) and here (Google Play). There was no simple way for me to avoid cancer-causing ingredients in my skincare. Even if it’s just a small amount, I’m entitled to know about it, so I built my own solution. 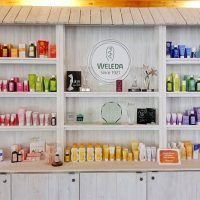 If your aim is to be healthier, you should not ignore your skincare products and pay more attention to their labels and what ingredients they contain. Did you know that there are certain ingredients in those products which may not be all that good for you? Luckily with the help of SkinNinja app, you can quickly discover any toxic ingredients without spending hours researching on the Internet. After you have downloaded the app simply scan a barcode and discover the truth – The product is either free from or contains suspected or known health risks – green, amber, red. Learn what the science says. Drill down to individual ingredients – find out what the experts think. Switch to a healthier alternative product – using SkinNinja’s proprietary technology. For the first time, a UK platform is exposing the health risks contained in our everyday products and putting the power back into consumers’ hands. Now, we all have access to transparent, unbiased health information and can make our own purchase decisions – for ourselves. Without the BS. If you are looking for an app that will list and explain any toxic ingredients in your beauty products, SkinNinja app is for you. Download it for free here (App Store) and here (Google Play). 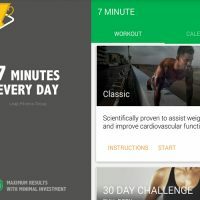 Wow this looks like a great app- super eye opening! It’s crazy what’s in so many personal and home care products. I also like the app “Think Dirty” as it is a similar app that helps you see toxicity levels of products. Thank you for sharing! Hi Priha – Charlotte here from SkinNinja…just letting you know that SkinNinja is the UK’s largest – and only – dedicated UK app. Scan us anything to do with skin or personal care products and we’ll tell you everything we know about it. If we don’t have the product in our ever expanding database (800k products and counting, phew! ), we’ll make sure we find it and let you know when we have. Hi Renata, Charlotte here from SkinNinja. So delighted to read you’re interested in our app. At this stage, we’re only available in the UK, Australia and NZ. Feel free to join our Facebook Group to keep updated on when we’ll be launching in Ireland. I’m in the UK, and the app doesn’t exist on Google Play now. That’s very unusual, I am sure it still exists as there is a Facebook page about it: https://www.facebook.com/skinninjaapp/ Is it possible that your phone is not compatible with the app, that’s why it’s not showing up?